Energy-efficient LEDs have only just started replacing the energy-wasting incandescent bulbs we've been using for decades. But did you know that LEDs date all the way back to 1962? 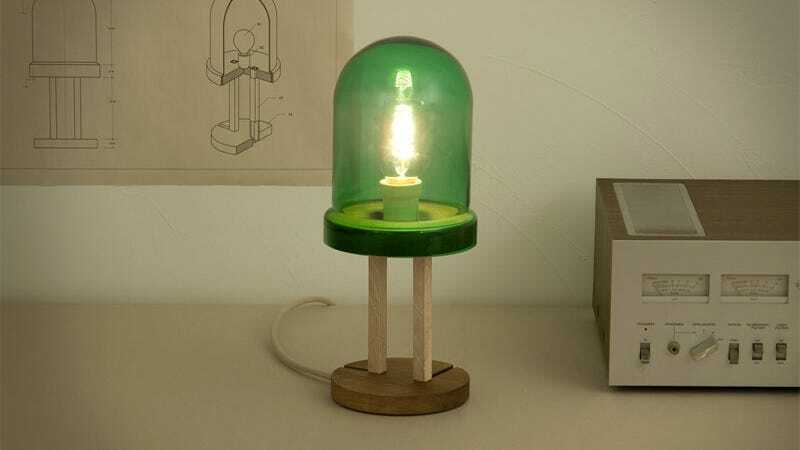 Most people don't, but this modern lamp designed to look like Nick Holonyak Jr.'s original LED design should help educate the masses—or anyone who visits your pad.